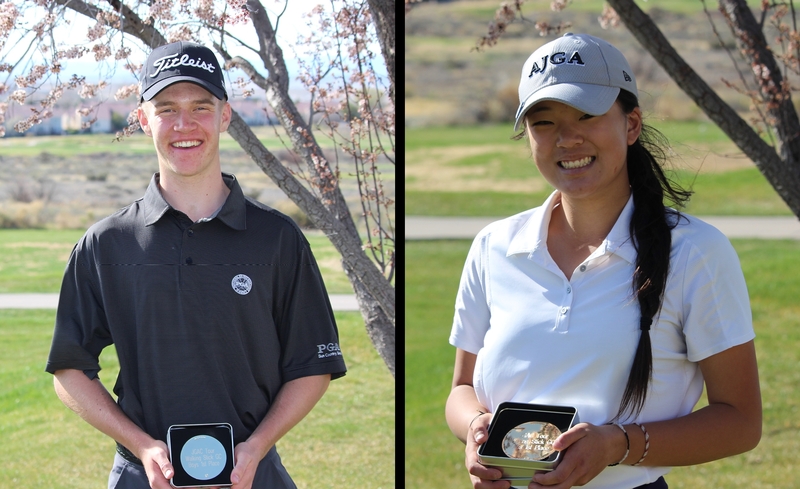 Sunday's field for the 14-18 age division of the Junior Golf Alliance of Colorado's Parent/Child Championship featured some impressive players. The 2018 Boys JGAC Player of the Year (Dillon Stewart of Fort Collins) was on hand, as was the winner of this month's titles in both the 3A boys state high school tournament and the JGAC Tour Championship (Jackson Klutznick of Denver). In all, three reigning state high school champs were competing -- Emma Bryant of Aurora (5A girls, pictured below with dad Matt) in addition to Stewart (5A boys) and Klutznick. 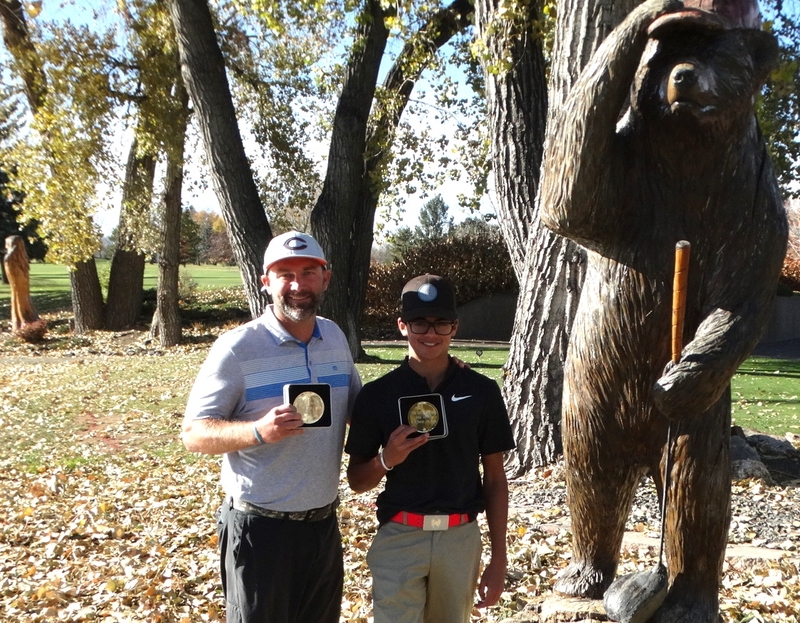 But despite the stiff competition, it was a 14-year-old eighth-grader and his dad that came out on top on Sunday at Indian Tree Golf Club in Arvada. Jackson Lowe and dad Mike from Castle Rock shot the only subpar round of the day -- a 1-under 69 -- to walk away with the top prize by one stroke over five teams that finished runners-up. "We wanted to do well, but Jackson's an eighth-grader," Mike Lowe said. "To be honest with you, we didn't think we had a chance (to win). There's some good players here." Added Jackson: "That was really cool (to claim the top spot out of a field of 61 teams). It's cool to look at the tournament and see you beat those people too." The Lowes (pictured above) finished in style as Mike drained a 40-plus-foot birdie putt on their final hole to give them a one-shot victory in the final JGAC tournament of the year. In an event that used three formats -- alternate shot for holes 1-6, scramble on holes 7-12 and best ball for 13-18 -- the Lowes finished on No. 7, a par-4 that's a sharp dogleg left. Mike Lowe smacked a big drive that left just 62 yards into the green. But he and Jackson didn't take advantage with their approaches as neither hit it closer than 40 feet. "We were both bummed," Mike said. But after Jackson missed his attempt from there, Mike hit the mark in what proved to provide the slim victory margin. But at the time, the two certainly didn't think that was going to win them the tournament. "We thought we might get in the top three," said Jackson Lowe, who earlier this year won a U.S. 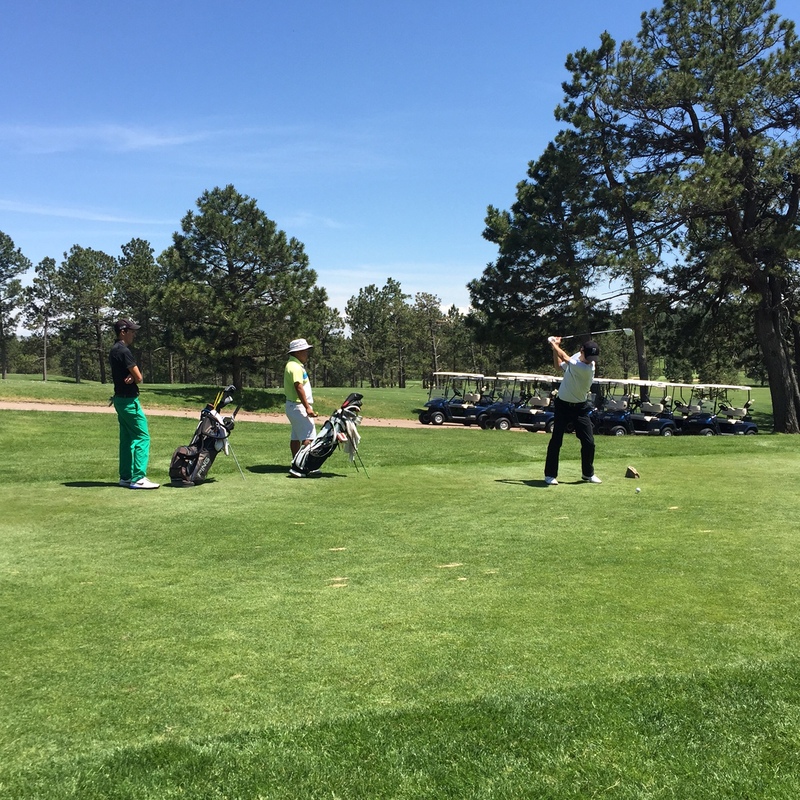 Kids Golf tournament at Antler Creek Golf Coruse northeast of Colorado Springs. "We were pumped" at finishing with a birdie, Mike Lowe added. 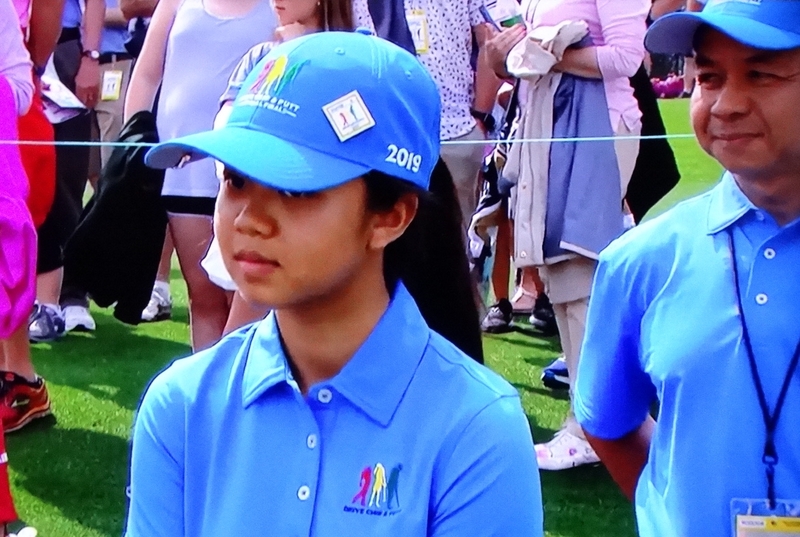 "We're like, 'Maybe we'll get in the top five and we'll be under par." As it turned out, no one else finished in red figures. Stewart and his dad Scott were among those who tied for second place at 70. Also sharing second were Mark and Leigha Devine of Windsor, Kevin and Brynn Ellis of Windsor, Kevin and Sydney Eye of Golden, and Billy and Sloane Post of Centennial, whose only major blemish on their scorecard with a triple bogey on No. 2. "It feels good" to prevail. 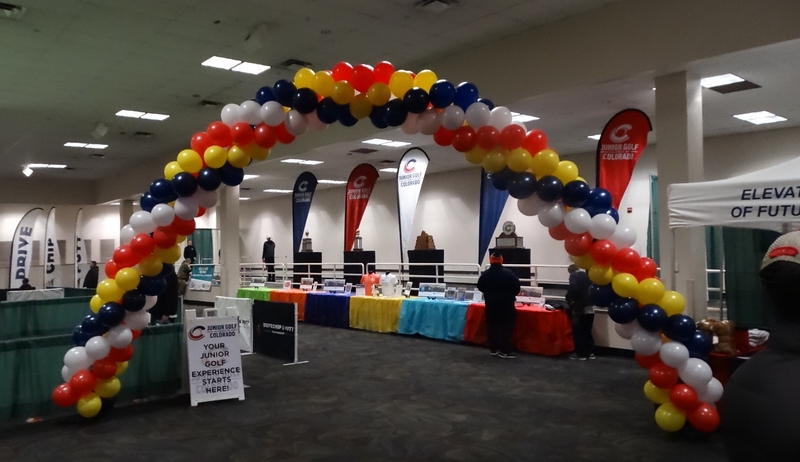 "It's a fun event," Jackson Lowe said. "We're pretty competitive, but we thought, 'Let's go have fun today,'" said Mike Lowe, who carries a 2.2 Handicap Index at The Club at Pradera, while Jackson is a 7.8. "We weren't grinding. If we made a bogey we were laughing. It's a beautiful day -- no wind -- and we were very aggressive. We hit driver everywhere we could." The Lowes finished with six birdies -- including four in a row starting on No. 11 -- and five bogeys on Sunday. -- Heitzes Champs in 11-13: Uli and Rudiger Heitz (left) of Longmont prevailed in the 11-13 age division competition, which was held Saturday at Indian Tree. The Heitzes shot a 1-under-par 69 -- making an eagle, two birdies and three bogeys along the way -- then defeated Ben and Braiden Portie of Westminster in an alternate-shot playoff that lasted one hole. Ben Portie, the women's golf coach at the University of Northern Colorado, won the CoBank Colorado Open in 2011. Finishing third on Saturday was Calum and Andrew White of Centennial, who carded a 70. The teams on Saturday played holes 1-6 via alternate shot, 7-12 in a scramble and 13-18 best ball. -- McFaddens Winners in 10 & Under After Long Playoff: Michael and Campbell McFadden (left) of Denver needed four extra holes to claim the title in the 10 & Under competition, also held on Saturday at Indian Tree. The McFaddens shot a 1-over-par 71 and tied for the top spot in regulation with Chris and Collen Todd of Golden before claiming the title on the fourth playoff hole in an alternate-shot format. 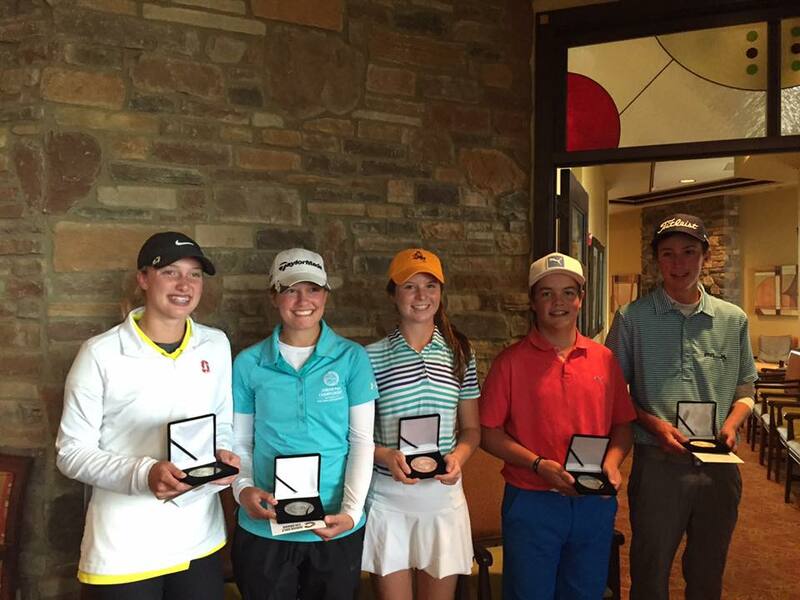 Jason and Alex Doyle of Colorado Springs fired a 72 to take third place. 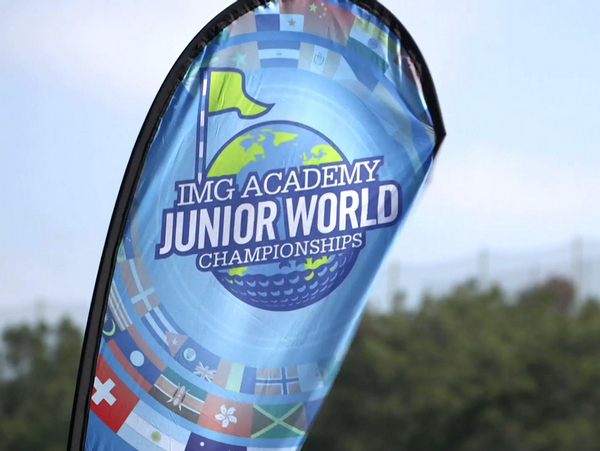 For scores from the JGAC Parent/Child, click on the following: 14-18, 11-13, 10&Under.